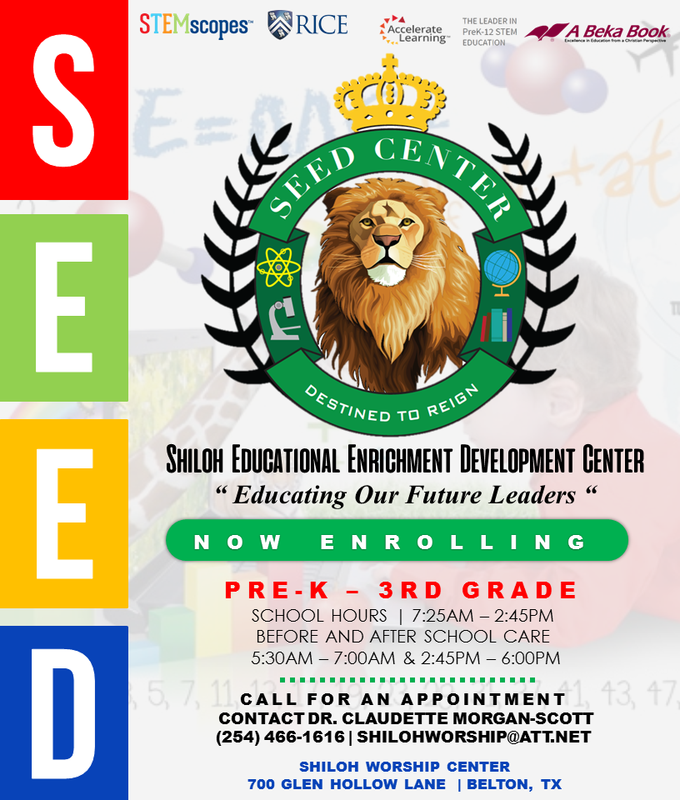 Shiloh Worship Center is excited to announce that we are now enrolling students at our christian academy, Pre-K 3 - 3rd grade. We will be adding a grade each year, up to 12th grade. We provide an excellent academic education, promoting christian values and character. We will be focused on raising our future leaders. Please pass this information to your church family and community. Our rates are very competitive. We may be able to offer a sliding scale based on income and number of children enrolling in the family. For further details or to schedule an appointment please call Dr. Claudette Morgan-Scott at (254) 466-1616.